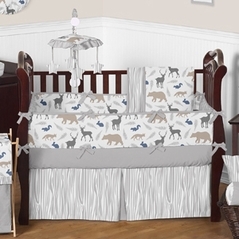 Welcome to our Country Crib Bedding section! 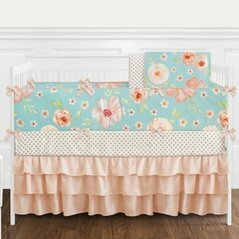 Here you'll find the Country Bedding sets that will cure the nostalgic minded parents and find complete baby bedding sets and accessories that will instantly transform your nursery into a room from the little house on the prairie. 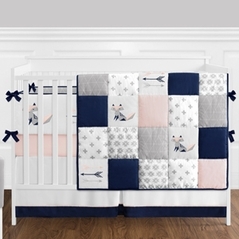 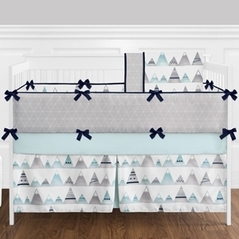 Our country baby bedding sets are all guaranteed to be hypoallergenic and constructed from the highest quality fabrics from leading brands like Sweet Jojo Designs. 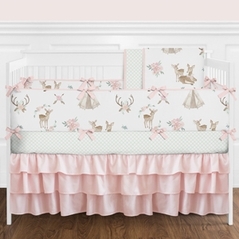 From the timeless baby boys sets to our delicate girls floral country baby bedding, these vintage sets will all transport you to that relaxing countryside feel that we all dream of escaping to. 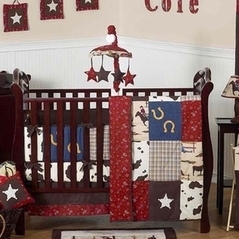 We also have a cowboy crib bedding section for your little cowboy or cowgirl gunslinger. 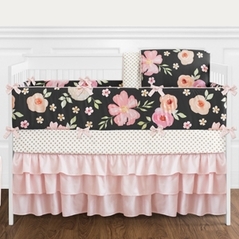 So take a look below at our Rileys Roses Bedding, our classic Casey's Cabin bedding, and more. 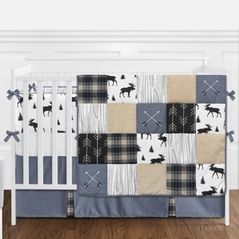 Country as a decorating design theme is a culture all its own, and many possibilities abound for styling motifs. 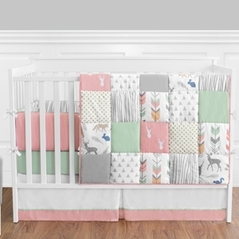 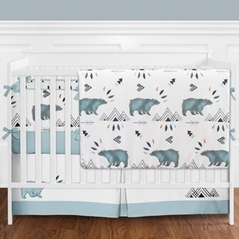 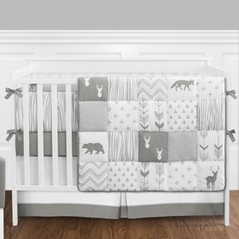 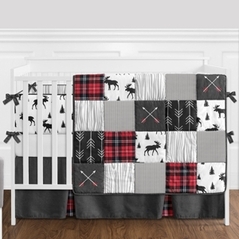 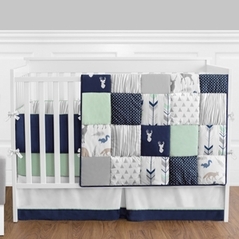 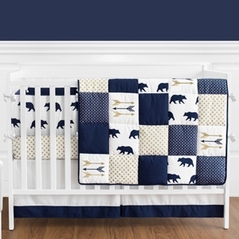 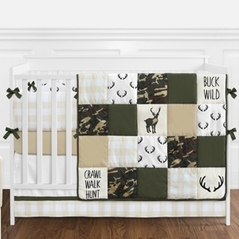 Your little one will love these Country themed crib bedding sets and so will you. 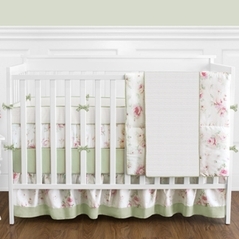 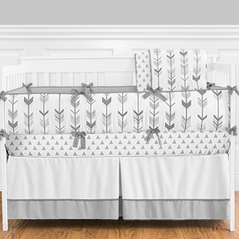 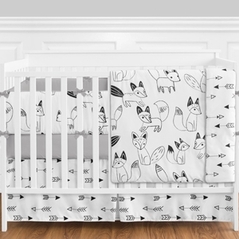 With prices so below retail you will be shocked to find discount baby bedding with such uncompromising quality and styles. 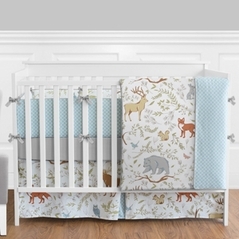 And after viewing these country bedding sets please make sure to check out our Jungle Baby Bedding, as well as our very popular dragonfly baby bedding from the Bugs, Frogs, and Butterflies bedding collections.